She gets off to a bad start when her car knocks senior detective Li Yan off his bicycle. In a furious clash, he dresses her down in perfect English. But Li soon finds himself reintroduced to Margaret by his superiors when the newly promoted detective’s first case requires Margaret’s special expertise to identify a horribly burned corpse. Thrown together to track down the killer, Margaret and Li must bury their personal and cultural differences when they uncover a conspiracy that threatens not only their lives, but the lives of millions. and several standalone books, including the multi award-winning Entry Island (January 2014, Quercus UK), Runaway (Quercus 2015) Coffin Road (Quercus 2016) and I’ll Keep You Safe (riverrun 2018). 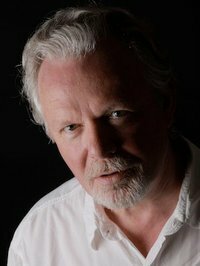 Entry Island won the Deanston Scottish Crime Book of the Year 2014 and the ITV Specsavers Crime Thriller Club Best Read of the Year 2014. Margaret Campbell is a forensic pathologist in Chicago that has been invited to speak at the Bejing police university. She has had a rough go lately and jumps at the chance for a fresh place to regroup. Unfortunately she didn’t really think things through and arrives in Bejing with no idea about their culture. She just seems to be offending everyone. Then it doesn’t help that she knocks a man off of his bike. A badly burned body is discovered and Margaret is called in to help investigate. Of course the man that she knocked off his bike is new detective Li Yan, the one assigned to this case. Both Margaret and Li seem to be at each other because of the clashing of culture but they try to set this to the side to solve this case. 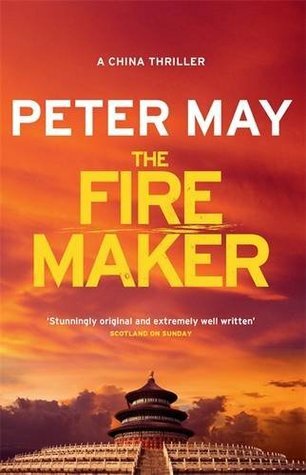 This is the first book that I have read by Peter May. I really like how much he puts into this story. I felt just like Margaret, like a fish out of water, and could see me making the same mistakes as her. I really liked Li. He is clearly from another world from Margaret and although they didn’t initially get along they became a great team. Now, the mystery started out good and really had my attention. But it seemed to stall and had me wanting to get back to it. The, mystery was a good one when it finally picked back up and I enjoyed that. Of course you have a cliff hanger ending that has made me want to rush out and get the next book in the series, The Fourth Sacrafic. I received The Firemaker from Quercus for free. This has in no way influenced my opinion of this book.